Last week, as a result of a number of meetings in Canada that were arranged through the Vatican, President Obama surprised the world by announcing that after more than half a century, the United States would resume diplomatic relations with Cuba. Today, we have a look at what’s been happening in the cruise business in Cuba. Meanwhile, Costa Cruises’ Costa Celebration arrived in Freeport last Thursday to replace the damaged Bahamas Celebration on the Palm Beach-Freeport route. Arriving in port the same week was the S F Alhucemas, a full-hulled replacement for the Fort Lauderdale-Freeport catamaran ferry. Both services will offer cruise and stay packages in conjunction with resort hotels in Grand Bahama, all backed by a $3 million advertising campaign by the Bahamian Government. Since the Cuban Revolution, more than a half-century ago, American bans on citizens travelling to Cuba and US-based companies trading with Cuba have prevented US-based cruise lines from developing this largest island in the Caribbean as a destination. Under present US law, any ship calling on Cuba is not allowed to make a return call on the US for a period of six months after visiting Cuba. Nelson Bay, Australia is a small community in New South Wales. It is home to a large tourist population every summer because of the spectacular views, amazing aquatic tours, and relaxing atmosphere. Every year visitors flock to the area for some time in the sun and under the water. Marine life is abundant in the area and visitors are often seen taking pictures of dolphins and whales. There are several resorts in the community that offer full spa amenities for those who need some down-time. 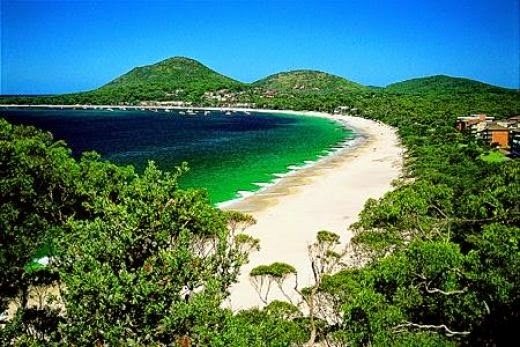 Nelson Bay is also home to premier outdoor recreational facilities. Next year marks the 800th anniversary of the sealing of Magna Carta by King John and his barons. In a story that begins and ends in England, this iconic Great Charter is championed for outlining the ideas of freedom, democracy and rule of law – it has influenced constitutional-thinking across the globe including Australia and New Zealand, affecting billions worldwide. Six new self-guided trails have been launched to tell the Magna Carta story through the country's rich history and heritage. Each self-guided trail provides visitors with two to three day itineraries across the ten Charter cities and towns incorporating the Cathedral cities of the north, King John's effigy in Worcester as well as Runnymede where the document was sealed. The trails also showcase where the four original 1215 Magna Cartas can be seen in Lincoln, Salisbury and London. Standing amidst Lincoln's medieval cobbled streets, the castle has one of only four surviving original copies of Magna Carta. A £22m project is set to transform William the Conqueror's imposing building into a world-class heritage visitor attraction re-opening in April next year. The refurbishment includes a new state-of-the-art underground vault to house its original Magna Carta with 'in the round' museum quality interactive interpretation. The project will also see the castle walls restored so visitors can do a 360 degree walk around the castle for the first time in history. There will also be improved access to the male and female Victorian prisons. The male prison will be fully open for the first time and visitors will be able to witness the UK's only 'separate system' chapel. For the first time in history all four original copies of Magna Carta will be brought together for a one-off exhibition at the British Library in London. The ballot for tickets opened in October, with only 1,215 tickets available to the public for the event on 3 February. The lucky winners will spend a day at the British Library, learning about the history and significance of Magna Carta before viewing the four manuscripts on display together for the first time. The ballot closes on 31 October. The British Library's major exhibition next year will also revolve around this historic legal document. Entitled, 'Magna Carta: Law, Liberty and Legacy', it will run for six months from 13 March and explore the history and resonance of this globally-recognised document. As part of the exhibition, two of the most fundamentally important documents in American history, the Declaration of Independence and the Bill of Rights, will leave the US for the first time and go on display in London. 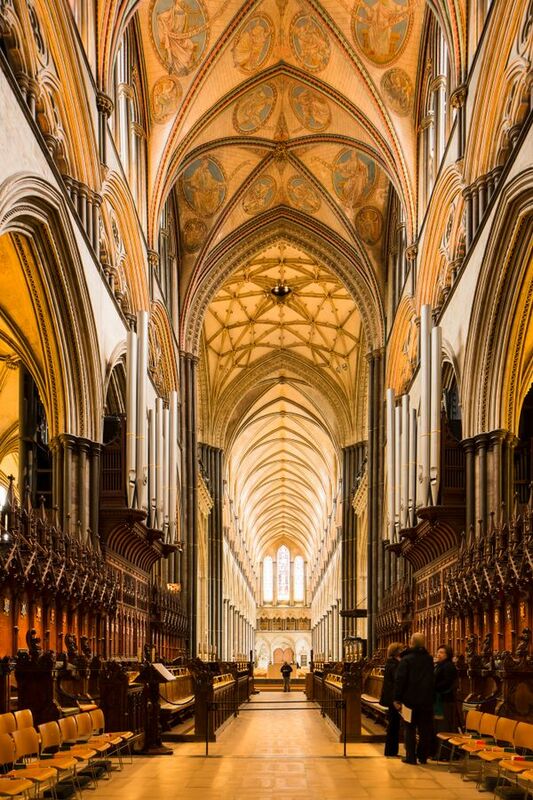 Salisbury Cathedral is home to the finest of the four surviving Magna Cartas, noted for its excellent condition and written in neat business hand. In advance of the 2015 anniversary celebrations, the Cathedral has been awarded Heritage Lottery funding to re-display and re-present the Cathedral's Magna Carta in the Chapter House. It will be displayed alongside other documents from the Cathedral's extensive archive, using the latest interpretation techniques to communicate both the historic background and modern significance of Magna Carta. An international commemoration will take place on 15 June to mark the 800th anniversary of the sealing of Magna Carta. Her Majesty The Queen will attend the commemoration activities taking place on Runnymede Meadows near Windsor, where the document was sealed 800 years ago. This event will be open to the public, and more details are due to be released next year. Durham Cathedral holds three editions of Magna Carta dated 1216, 1225 and 1300. The 1216 edition – the only surviving copy - will be displayed at Durham University's Palace Green Library during a new exhibition which runs from 1 June to 31 August. The exhibition, entitled 'Magna Carta and the Changing Face of Revolt', focuses on the charter as an outcome of rebellion and inviting visitors to explore different types of rebellion through history. The City of London Heritage Gallery – a new, specially-built area inside Guildhall Art Gallery – has put some of the City Corporation's treasures on public display for the first time, telling the story of London, its memories and its defining moments. The gallery opened last month (September 2014) and is rotating iconic documents and items to appear at times of anniversaries and celebrations. The 1297 Magna Carta as well as other artefacts including a property deed signed by William Shakespeare, Cartae Antiquae, will be on display. The Bodleian Library houses four of the seventeen surviving pre-1300 'engrossments' of Magna Carta. To honour its 800th anniversary, the new Weston Library at the Bodleian will host an exhibition entitled 'Marks of Genius', which will display the Gloucester Charter. The exhibition will run from March to September and there will also be a special event planned for the Magna Carta sealing anniversary day on 15 June. Held at England's highest court, this exhibition will critically examine the role of Magna Carta in the UK's constitutional settlement, highlighting the principal legal rights Magna Carta was intended to protect in 1215. It will explore how the legal significance of Magna Carta developed over time and was (and still is) used by the courts to protect fundamental freedoms. Running from August to September, it will encourage visitors to reflect on how their rights are protected today and what basic rights they think are of most significance in 2015. For more information on Magna Carta, and next year's landmark anniversary, go to http://magnacarta800th.com.